Sideshow Collectibles tipped us off to an extremely well-done fan film entitled Rebel Scum. 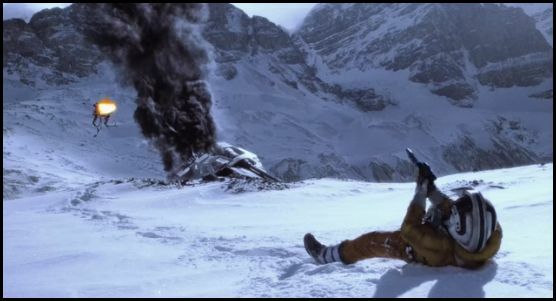 In the short, a Rebellion pilot is hounded by death from the merciless Empire and a frozen grave, after being abandoned during the retreat of the Rebel Alliance from Hoth. The special effects are a combination of CG and stop-motion and resembles what we used to see in movies like The Empire Strikes Back and Ray Harryhausen's classics.